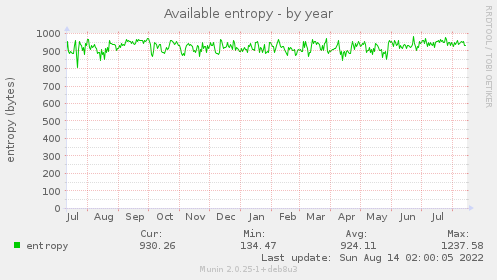 This graph shows the amount of entropy available in the system. 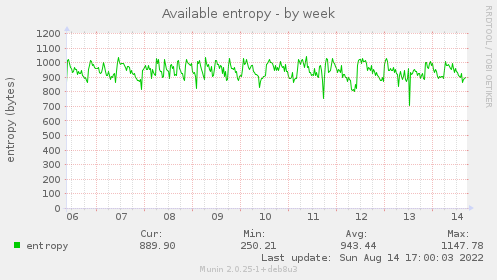 entropy entropy gauge The number of random bytes available. 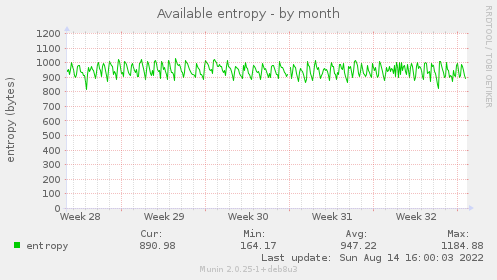 This is typically used by cryptographic applications. 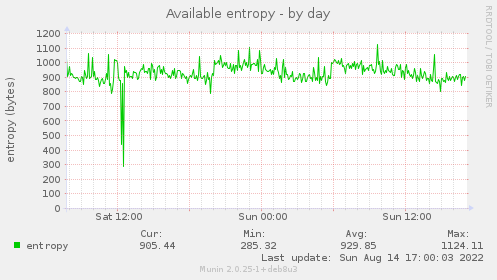 This page was generated by Munin version 2.0.25-1+deb8u3 at 2019-04-18 19:10:09+0200 (CEST).